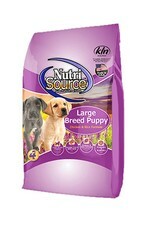 NutriSource® Large Breed Puppy is ideal for breeds that mature at more than 50 lbs. NutriSource® Large Breed Puppy formulas deliver super premium nutrition in a holistically formulated, easy-to-digest food for balanced muscular and skeletal growth in large and giant breeds. Our large breed meals are created specifically for bigger dogs, utilizing adjusted levels of calcium and phosphorus matched with balanced protein, fat, carbohydrates, and calories to supply large breed puppies the nutrition to grow and develop your new pup to its fullest potential. We combine low-ash chicken meal, humanely certified chicken, rice, and carefully selected holistic ingredients to promote unparalleled health for your large breed pup. Health of your beloved pet is our #1 priority and our unmatched use of Good 4 life supplements guarantees the new addition to your family won't have any runny stool issues and a healthier immune system, we guarantee it. Bio-availability is important to your pets long-term health so we created a larger-size morsel making it easier for large dogs to eat with a +85% digestibility rating - Health begins here! 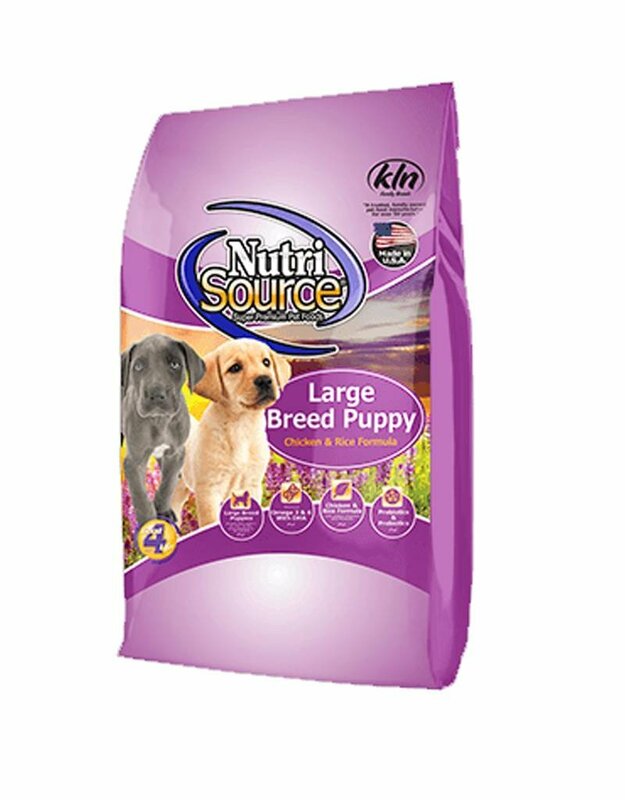 NutriSource®Large Breed Puppy Chicken & Rice Formula Dog Food is formulated to meet the nutritional levels established by the Association of American Feed Control Officials (AAFCO) Dog Food Nutrient Profiles for all life stages including growth of large size dogs (70 lbs. or more as an adult). For a complete nutrition profile on this product, visit Nutrisource's website.